I know people who swear up and down that smoothing salon treatments like Japanese Straightening, Brazilian Blowouts and Keratin Treatments have given them that commercial-like shiny hair of their dreams. But all our salon options for de-frizzing unruly hair, the differences between them begin to get downright confusing. While the three aforementioned are similar, they are most certainly not the same. What if I want to just smooth, but not lose my curls? What if I only want to tame the summertime frizzies? I’m sick of blowdrying, what’s the best long-term solution? We went straight to the experts — Daniel Martinez, Stylist for Serge Normant at the John Frieda Salon in LA, and celebrity hair guru Philip Kingsley — to help us demystify these services so you can decide what’s best suited for your hair. What is the difference between the three treatments? In other words, if you’re going with Japanese straightening, forget your curling irons and velcro rollers – as Martinez points out, the structure of your hair has physically changed so it will hold no memory of its original shape. It will be transformed into super flat and super straight strands. BRAZILIAN BLOWOUT: This treatment offers instant gratification. After analyzing to see if your hair can withstand the intense heat of the irons that will be used on your hair, the stylist will cleanse your hair with a clarifying shampoo so the cuticle can absorb the solution and then apply a solution made of active keratin (which is basically the protein building blocks of your hair). After your hair is totally dry, the stylist will “seal” the product into your hair using a flat iron (which traps moisture and hydrates your hair), then rinse the hair thoroughly and finish with a blow out. KERATIN TREATMENT: “This is a smoothing service that uses products that are specially formulated to contain natural keratin protein which rebuilds, restores and rejuvenates the condition of all hair types,” says Martinez. “The stylist will design a treatment that can range from subtle to more visually altering, depending on the amount of strokes placed on the hair using a flat iron.” So, your hair can still hold its wave or curl if you want it, but it will just be tons smoother. One difference between this and the Brazilian Blowout is it uses a different variation of keratin (many Keratin treatments don’t use formaldehyde, which is sometimes found in Brazilian treatments). But the main difference is whereas for the Brazilian, you can just walk out the salon with your finished results (hence the “instant gratification”), with the Keratin treatment, you leave the salon with the treatment still in your hair. “You must avoid water, saunas, working out, facials, pony tails, hair accessories—even touching the hair—for 72 hours,” warns Martinez. Only after that time has passed should you then shampoo the solution out. But rest assured, you’ll instantly see a smoother difference. Well, you’ll definitely be spending a significant less time blow drying your hair! But make sure to use sulfate-free shampoos for lasting results. Try Pureology’s sulfate-free Hydrating shampoo and conditioner. Nicole Richie is reportedly a big fan of Brazilian Blowouts! How long would each treatment last? The Japanese relaxing method is permanent, so until your hair grows out again, you’ll have stick-straight hair. 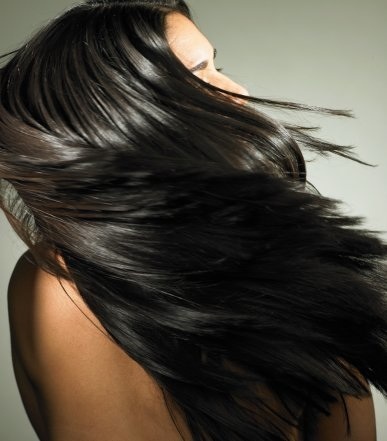 The Brazilian Blowout and Keratin treatments each have a life cycle of about 12-16 weeks, so you’re not as committed and you return to your hair’s natural texture more easily. Who are the best candidates for each? JAPANESE: Someone who’s not happy with their overly curly, frizzy, coarse hair. She must be willing to permanently alter her hair to flat, sleek, straight hair and be willing, and able, to continue having the service done over time as the roots come through every 12 weeks—or know that if she grows tired of the service she’ll have to wear short hair, or two completely different textures, until it grows out. BRAZILIAN: The best candidate for this treatment is a woman who wants to control the frizz in her hair, achieve volume in her hair and ease with styling. KERATIN: The best candidate for this treatment is someone who has damaged or color treated hair and wants to see her hair appear healthier, frizz-free and smooth. This treatment is ideal if she still wants to wear her natural wave or have the ease of blow drying her own hair in minutes. Will these treatments cause my hair to fall out? “The only time I’ve seen breakage (hair falling out) in the salon, is when the Japanese relaxer is not carefully applied and the technician overlaps the harsh chemical on previously treated hair which causes the hair to break,” notes Martinez. Also, one procedure should not do much damage for any of these treatments – it’s the repeated procedures (when the second or third application overlaps the previous ones, for examples) that damage is most likely to occur, Kingsley warns. However, a lot depends on the operator applying the method: The more care and monitoring, the less the damage. The Keratin method is newer because it does not have a long history, the full damaging effect may not yet realized; though it’s suspected to be the least harmful overall. What can I do to avoid severe damage to my hair from these treatments? Kingsley advises to use deep remoisturizing conditioners before before actually getting the procedure done, and once a week or two after for a month. Try Kingsley’s multi-award winning Elasticizer. HELP! I can’t afford any of these treatments! Price is without a doubt a big factor when deciding to get any of these in-salon treatments done, with costs running anywhere from $250-$600 a session (depending on location and salon). At least for Keratin treatments, I’ve read that certain beauty schools offer it at a greatly reduced rate (some even run specials for $50). Not too hot on the idea of a student working on your hair? Rest assured, many reputable schools only allow their advanced students to do the procedure. Just takes a little homework on your part! Also, if you haven’t joined sites like Groupon.com or LifeBooker.com, do it. They have shown to offer some amazing discounts at high-end salons from time to time. Due to the chemicals involved, I would recommend always making sure you get it done in a salon with a professional as opposed to trying to do it yourself at home. 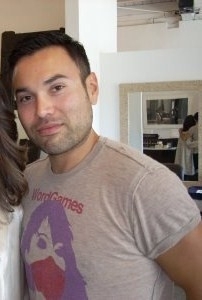 For salons that offer Keratin Treatments, check out www.keratincomplex.com. Did you find this guide useful? Have any of you guys got any of these treatments done? Would love to hear your experience, likes and gripes! this article is exactly what i was looking for! i’ve been researching hair straightening treatments,so thanks for this!! your blog is always on top of things! I have thick, coarse, frizzy, straightish hair, and when I decided to grow it out, I was just never happy unless someone else blew out my hair. Now I would never have the patience or the money to have it done at a salon every two days, or even once a week. And it took me an hour to blow dry my own hair. So I decided to try the Japanese straightening. My hair had never been so soft, shiny and manageable in my life!! I didn’t really feel the “two-texture effect,” but I can see how that would be a problem for people with curly hair. For my unruly hair, this was a great solution. I have only done it once a year for the last 3 years, and I am still happy. Six months after the second treatment is when I noticed that the ends of my hair were hideously dry. If you are good about getting trims this should not be that big a problem. I usually hear about the damage Japanese straightening does to your hair, but thank you for sharing your own experience…at least we have options! I have just had the Brazilian Blowout and looove it! I have extremely frizzy and dry curly hair and I am very active (running, horseback riding). That combined with the hot and humid summers in Indiana basically left me running around like a scarecrow for most of the summer, I usually had to blow-dry my hair then straighten it which would all be for nothing after being outside in the humidity… I have tried the Yuko before and it made my hair look healthier but I still had to flatiron it and it cost me $700 and 6 hours in the salon! Anyways. Last week I had gotten my hair highlighted and then received the Brazilian Blowout and I could not be any happier with the results. I do not need to use my flatiron at all! I just blow-dry my hair and not only does it look and feel silly smooth it is also salon straight! Even after riding and wearing a helmet and running 5 miles outside! I jugs hope this truly lasts for 12 weeks and I will be a happy camper! That’s amazing Lilo! The Brazilian blowout really seems like a great option for people with frizzy/curly hair. A handful of my friends have done it and it looks gorgeous. It’s great that it lasts through workouts and outdoor activity too. Thanks for sharing! Lilo I am in Indiana also. Where did you have your Brazilian blowout done? Are you saying the Brazilian Blowout has formaldehyde? I am still confused by this because the company saids it doesn’t have it? I don’t know about each and every formula, but from my interviews that’s what I gathered was the difference between Brazilian and Keratin treatments. But, you have to also consider a lot of salons use these terms interchangeably. I would ask your salon care provider if their specific formula has formaldehyde in it — they should be aware of this. Salon 100 Cypress is one of the best Hair Salons in Fort Lauderdale Florida. We specialize in Manicures, Peticures, straightening, shampoos, Waxing, Hair Styling, Straightening, and much much more! Come on By in Fort Lauderdale! There are several ways by which you can stand out in the crowd of audience. about this treatment beefore deciding tto get it.